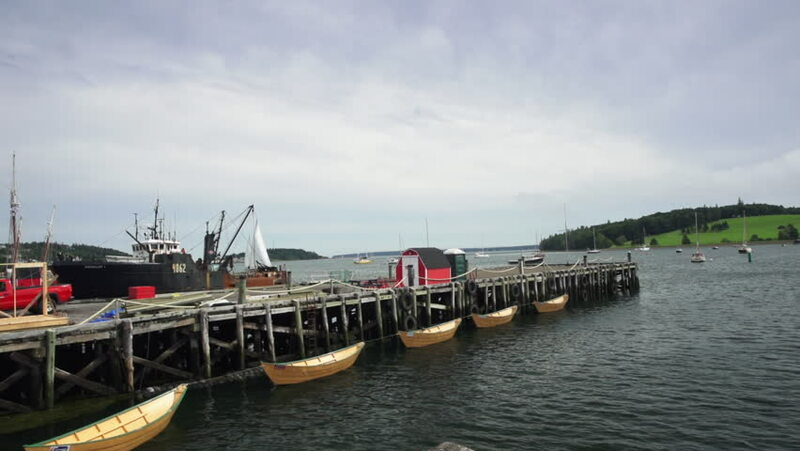 Yellow dories float beside a wooden pier as a large fishing trawler unloads it's catch and a sailboat passes by in the background Lunenburg Harbour, Nova Scotia. Also a World Heritage Site. 4k00:21Time lapse amazing sunrise at fisherman jetty Westport, Malaysia. hd00:16Panorama of ship transporting grain crops at silo terminal in seaport. Cereals bulk transshipment to vessel. Transportation of agricultural products. 4k00:10GREIFSWALD, GERMANY - MAY 23, 2016: Harbour on the river Ryck, yachts moored at the pier. West Pomerania.